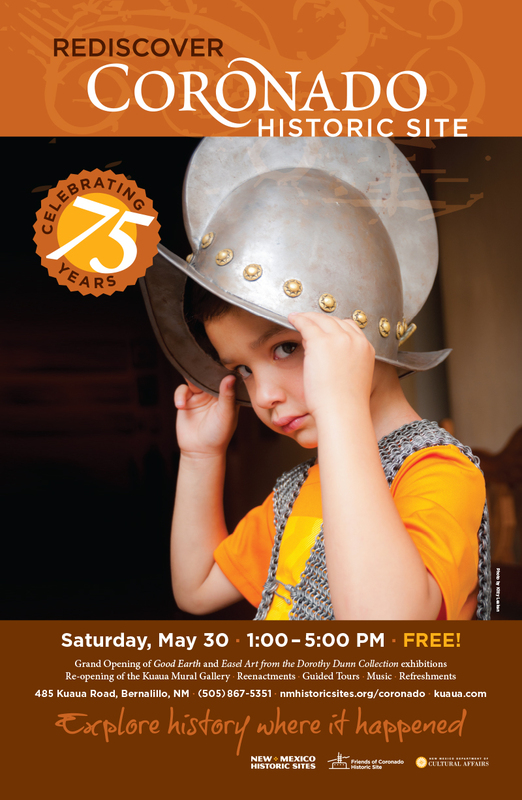 Rediscover Coronado Historic Site on May 30th from 1PM – 5PM during our 75th Anniversary Celebration. There will be reenactors, guided tours, the grand opening of the Good Earth and Dorthy Dunn Collection exhibits, as well as music and refreshments. Join us and party like it is 1940! Tags: 75 Years, Anniversary, Archaeology, Bernalillo, Celebration, Coronado Historic Site, Coronato State Monument, Event, New Mexico, Party, Pueblo, Ruins, Southwest. Bookmark the permalink.